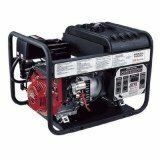 This emergency generator is a good start, but don’t get complacent! We have been tested by Mother Nature and many of us were found wanting. This week has been a wake up call for those of us living in Floyd County. The major lesson learned was that talking about being prepared is not enough. Having an emergency generator full of gas is not enough. These last four days without power or water drove home the point that half-measures just do not cut it when it comes to preparing for severe storms. Four of my acquaintances had their emergency generators break down or seize up because they had not done any maintenance since the last time they used the generators. I was alerted by their experience and discovered that my own generator was badly in need of oil and was able to handle it before any problems occurred. Our previous power outages were of such short duration that we didn’t have time to see how unprepared we were. I had run a few extension cords into the house and these sufficed for a few hours of no utility power. This time, we were without power or water for four days and it became really apparent that our preparations need a major upgrade. I may not be ready for the automatic emergency power system that blogger friend Doug Thompson enjoys, but I have been galvanized into creating a system that can be manually activated in just a few minutes. One interesting note. I am not the only Floydian to have reached this conclusion. All of the electrical supply houses in Floyd and nearby cities have been cleaned out of emergency generators and cables for these generators for days. This afternoon in Christiansburg, I met several other people from Floyd who were still scouring suppliers for generator parts, water jugs, and emergency supplies. We swapped notes on where these could still be found. At the gas station on the way home, half of the cars were filling spare gas cans, jugs, even kerosene cans with gas for their emergency generators. The temperature was dropping again and no one wanted to be caught in a cold, dark house if they could avoid it. I will document the upgrade to my emergency power preparations in a later post in the hopes that it will help others avoid some of the unnecessary effort we went through. admire the lights in their neighbors windows.